I didn’t think there could be much more that would surprise me about Swiss efficiency. Having a tram where you can leave your Christmas shopping as you shop some more and then come collect it on the way home is a stroke of genius. 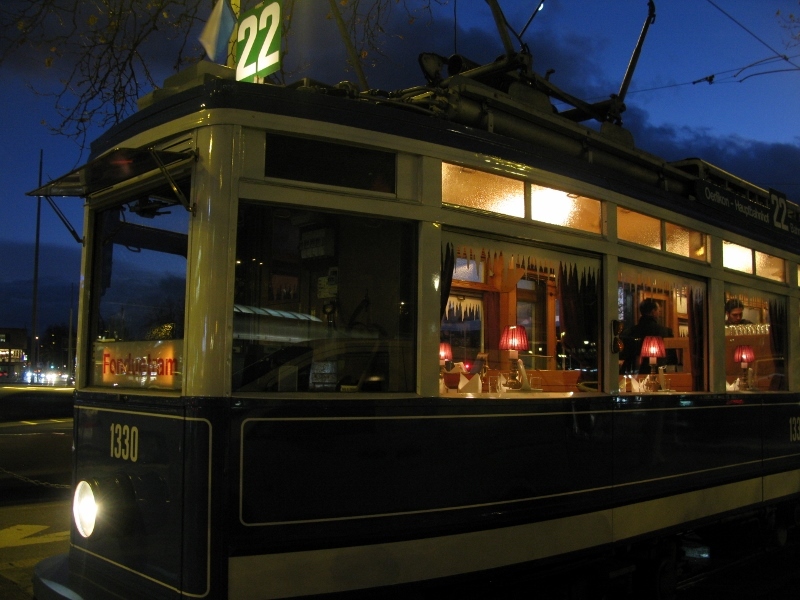 Having a tram that travels the city of Zurich and serves fondue as you sight see shifts time management into a whole new realm. 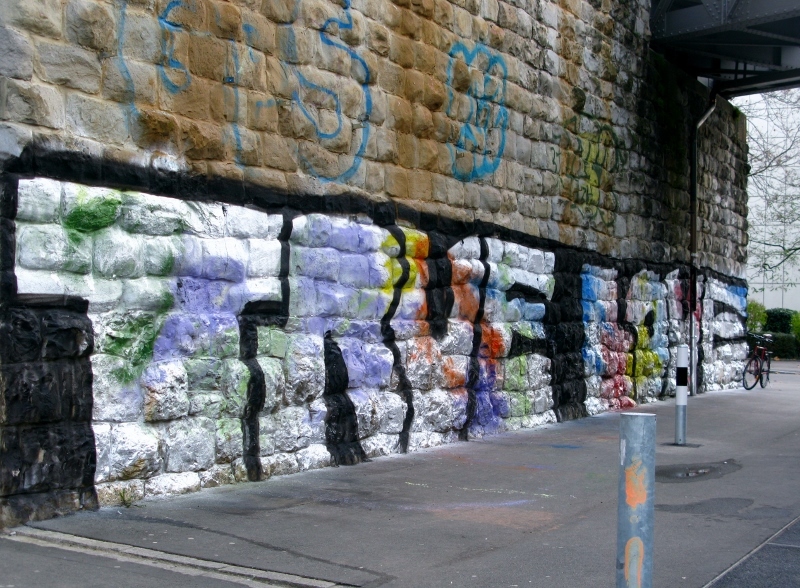 But it’s not just the trams that are put to good use. 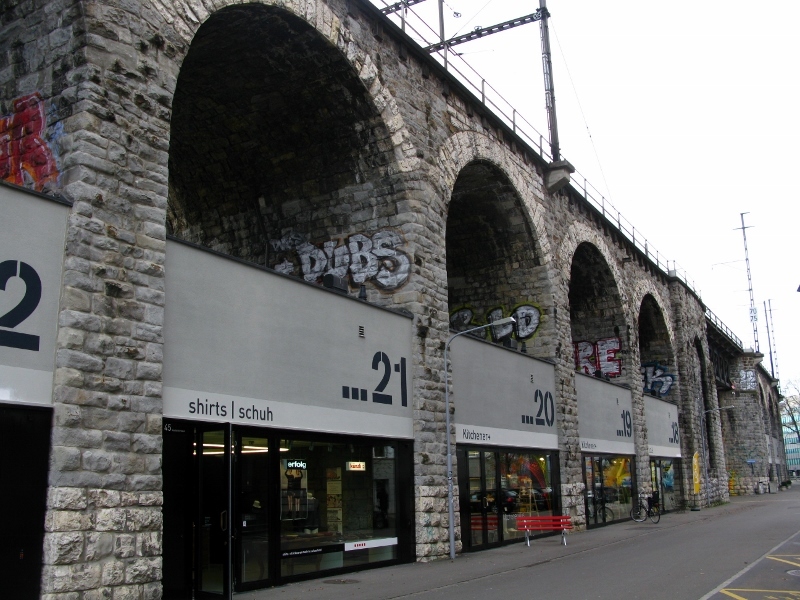 There’s a part of town called IM VIADUKT … and not surprisingly, it’s an old viaduct originally built in 1894. But instead of leaving it to rack and ruin, to bury itself beneath a coating or five of graffiti or yards of trellised ivy, the Swiss have turned it into a serviceable work of art: serviceable because of the shops and restaurants and cafés that have established themselves underneath in the 36 arches; artistic because of the night lights that showcase its nooks and crannies, curves and corners. The architects faced a huge challenge – their task was to develop this monumental piece of architecture within the confines of a preservation order, and to do so affordably, given the Swiss penchant for bureaucracy and red tape. And while I’m not a student of the trade I know what I like – and I like this place … a lot. I stayed with friends in an old industrial space by the river that by rights should be ugly – concrete and steel – but instead is funky and modern without being an eyesore. 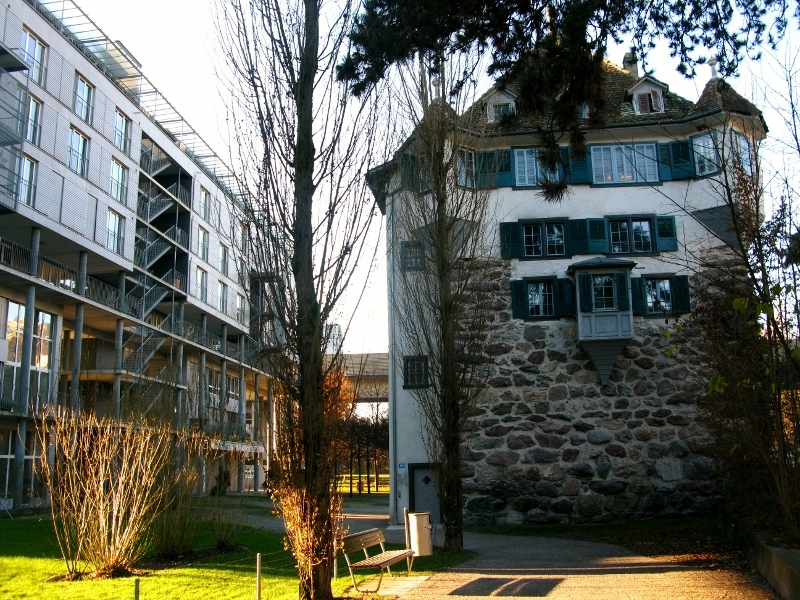 I spent quite a bit of time marveling at the juxtaposition of old and new in the city – the Swiss seemed to have accomplished in Zurich what so many other city planners have failed to do – a perfect marriage of old and new. Yes, the sheer beauty of Budapest’s architecture remains unchallenged but Zurich has wedged its way into my heart.